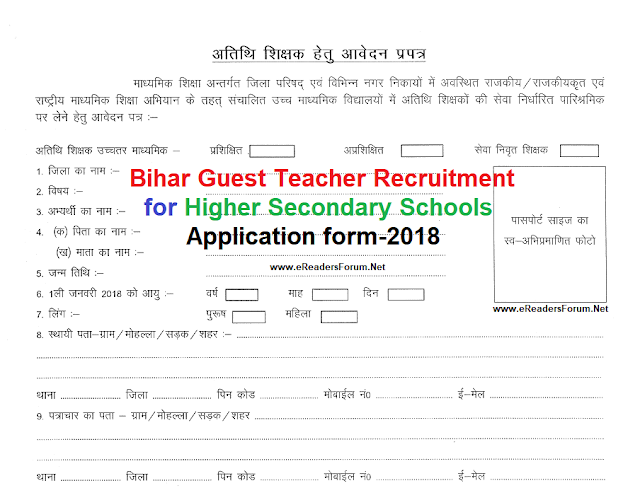 District wise recruitment for the post of Guest Teacher of following six subjects has been announced by state/national higher secondary school board. Guest Teacher required for- English, Mathematics, Physics, Chemistry, Zoology & Botany. A fixed salary as per the rate of Rs 1000 per day for maximum 25 days per month will be given. The application form will be accepted from 22-05-2018 to 04-06-2018 on all working day between 11:00AM to 04:30 PM by hand at the centre as decided by the DEO (District Education Officer). Note: Please contact your district education office to know about form deposit centre. Candidates must possess post graduate degree with minimum 50% marks and B.Ed as per State or National Educational Council. But for the post of Math, Physics and Chemistry teacher B.Tech with minimum 55% marks or M.Tech will be given preference. Candidates qualified in TET Paper-II will be given preference over others. A fixed salary as per the rate of Rs 1000 per day for maximum 25 days per month (means Rs 25000) will be given. Minimum 21 years and maximum 65 years as on 1st January 2018. 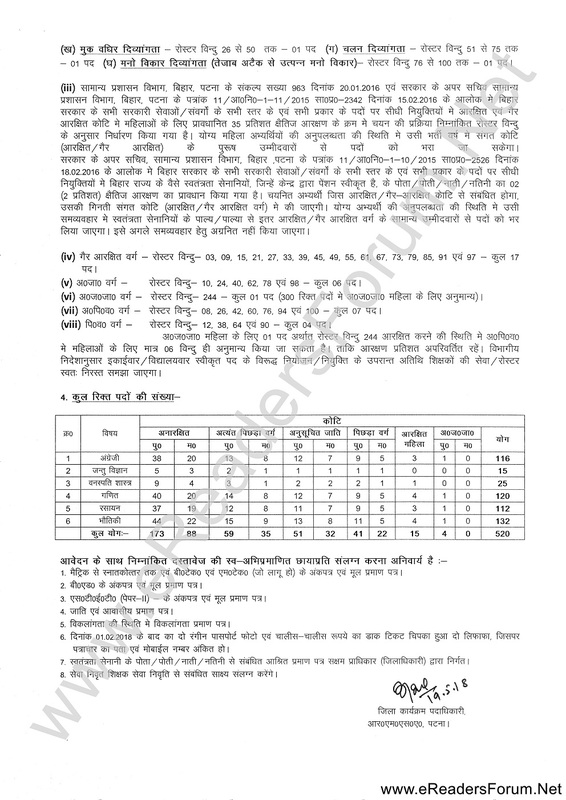 Note:- The post vacancy details given in above notice is only for Patna district. 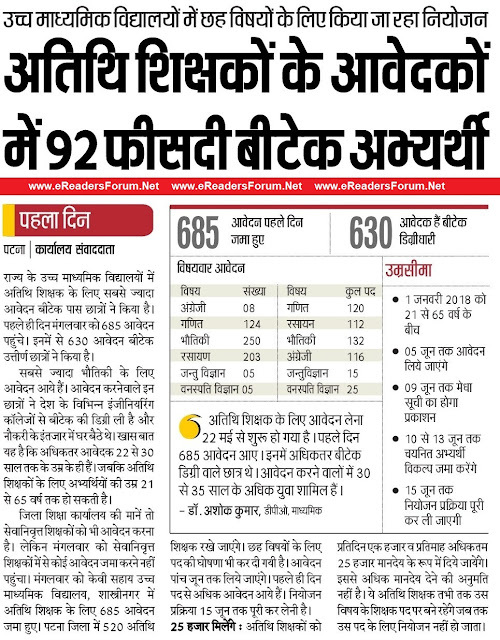 The rest information given above is same for all district guest teacher recruitment. If you have any further query please comment below, we will reply you as soon as possible.